Francis William Rankin was born on 18 October 1855 in 2 Grantham Street, Walworth, Surrey. He was the son of Alfred Rankin and Emily English Cook. Harold Rankin was born circa November 1869 in Sutton, Essex. He was the son of Alfred Mottram Rankin and Ellen Shalders. Harold was recorded in the census of 2 April 1871 living in Sutton. He was enumerated as Harrold Rankin, son of Alfred M Rankin, age 1, millers son, born in Sutton, Essex. Henry Couder Rankin also went by the name of Harry. He was born circa August 1881 in Rochford, Essex. He was the son of Hugh Rankin and Emma Nora Jackson. Henry was recorded in the census of 5 April 1891 living in South Street, Rochford, Essex. He was enumerated as Henry C Rankin, son of Hugh Rankin, single, age 9, scholar, born in Rochford, Essex. Henry was recorded in the census of 31 March 1901 living in 19 Cornwallis Gardens, Hastings, Sussex. He was enumerated as Hy C Rankin, visitor to George T Watson, single, age 19, engineer's pupil, born in Rochford, Essex. He married Margaret Gregson circa August 1912 in Rochford. Henry Couder Rankin died circa February 1968 in Southend, Essex. Herbert Rankin was born on 21 August 1852 in Great Stambridge, Essex. He was the son of William Hugh Rankin and Jane Nasmith Mottram. Herbert Rankin died circa September 1852 in Great Stambridge. Hugh Rankin was born on 2 October 1843 in Great Stambridge, Essex. He was the son of William Hugh Rankin and Jane Nasmith Mottram. Hugh was recorded in the census of 30 March 1851 living in Broom Hills, Great Stambridge, Essex. He was enumerated as Hugh Rankin, son of William Hugh Rankin, age 7, scholar at home, born in Great Stambridge, Essex. Hugh was recorded in the census of 7 April 1861 living in Broom Hills, Great Stambridge. He was enumerated as Hugh Rankin, son of William H Rankin, unmarried, age 17, gentleman, born in Great Stambridge, Essex. He witnessed the marriage of Thomas King and Louisa Rankin on 25 February 1868 in Parish Church, Great Stambridge, Essex. Hugh was recorded in the census of 2 April 1871 living in Little Stambridge, Essex. He was enumerated as Hugh Rankin, head of household, unmarried, age 27, merchant, born in Great Stambridge, Essex. He witnessed the marriage of William Firmin and Jane Mottram Rolfe on 7 December 1871 in Parish Church, Hackney, Middlesex. Hugh Rankin lived in Little Stambridge on 17 March 1876. He was a merchant on 17 March 1876. He married Emma Nora Jackson, daughter of George Jackson, on 17 March 1876 in St Mary's Parish Church, Hitchin, Hertfordshire. Hugh was recorded in the census of 3 April 1881 living in South Street, Rochford, Essex. He was enumerated as Hugh Rankin, head of household, married, age 37, miller etc etc, born in Great Stambridge, Essex. He was the official informant of the death of Humphrey Noel Rankin on 5 August 1884 in Rochford, Essex. Hugh was recorded in the census of 5 April 1891 living in South Street, Rochford. He was enumerated as Hugh Rankin, head of household, married, age 47, miller, employer, born in Great Stambridge, Essex. Hugh was recorded in the census of 31 March 1901 living in South Street, Rochford. He was enumerated as Hugh Rankin, head of household, married, age 57, miller & grain merchant, employer, born in Great Stambridge, Essex. Hugh was recorded in the census of 2 April 1911 living in South Street, Rochford. He was enumerated as Hugh Rankin, head of household, age 67, married, miller, connected with flour mill, employer, born in Great Stambridge, Essex, British subject by parentage. He was a miller on 15 January 1913. He witnessed the marriage of William Arthur Algernon Warren and Phyllis Rankin on 15 January 1913 in Parish Church, Rochford, Essex. Hugh Rankin died on 30 December 1924 in South Street, Rochford, at age 81. Humphrey Noel Rankin was born before 6 December 1883 in Rochford, Essex. He was the son of Hugh Rankin and Emma Nora Jackson. Humphrey died of diarrhoea and exhaustion. He died on 5 August 1884 in Rochford. Jane Mottram Rankin was born on 16 December 1833 in Great Stambridge, Essex. She was the daughter of William Hugh Rankin and Jane Nasmith Mottram. Jane Mottram Rankin was christened on 3 March 1837 in Independent, Rochford, Essex. Jane was recorded in the census of 6 June 1841 living in Broom Hills, Great Stambridge, Essex. She was enumerated as Jane Rankin, age 7, born in Essex. Jane was recorded in the census of 30 March 1851 living in Broom Hills, Great Stambridge. She was enumerated as Jane Rankin, daughter of William Hugh Rankin, age 17, born in Great Stambridge, Essex. She witnessed the marriage of James Samuel Cockerton and Rebecca Rankin on 17 September 1851 in Parish Church, Great Stambridge, Essex. Jane Mottram Rankin lived in Great Stambridge on 25 March 1857. As of 25 March 1857 her married name was Rolfe. She married George Crabb Harris Rolfe, son of Thomas Clapton Rolfe and Catherine Harris Cumpston, on 25 March 1857 in Parish Church, Great Stambridge. Jane was recorded in the census of 7 April 1861 living in Leighs Lodge, Felsted, Essex. She was enumerated as Jane Rolfe, wife of George C Rolfe, married, age 27, born in Great Stambridge, Essex. Jane was recorded in the census of 2 April 1871 living in Leighs Lodge, Felsted. She was enumerated as Jane M Rolfe, head of household, widow, age 37, farmer, born in Rochford, Essex. She lived in Aspland Grove, Hackney, Middlesex, on 7 December 1871. As of 7 December 1871 her married name was Firmin. She married William Firmin, son of William Firmin, on 7 December 1871 in Parish Church, Hackney, Middlesex. Jane was recorded in the census of 3 April 1881 living in 33 Dulwich Road, Herne Hill, London. She was enumerated as Jane Mottram Firman, sister of Mary Rankin, married, age 47, annuitant, born in Great Stambridge, Essex. She died on 11 May 1890 in 33 Dulwich Road, Herne Hill, at age 56. She Death informant was M Crabb, cousin on 11 May 1890. Jane died of rheumatoid arthritis (17 years), atrophy of nerves and syncope. Jesse Constance Rankin was born circa August 1857 in Braintree, Essex. She was the daughter of William Rankin and Elizabeth Augusta Burder. Jesse was recorded in the census of 7 April 1861 living in London Road, Braintree, Essex. She was enumerated as Jesse C Rankin, daughter of William Rankin, age 3, born in Braintree, Essex. Jesse was recorded in the census of 2 April 1871 living in Soho Street, Handsworth, Staffordshire. She was enumerated as Jessee Rankin, daughter of William Rankin, unmarried, age 13, scholar, born in Braintree, Essex. She lived in Beechwood, Handsworth, Staffordshire, on 26 November 1879. As of 26 November 1879 her married name was Davies. She married William Bowen Davies, son of Thomas Davies, on 26 November 1879 in St James' Church, Handsworth, Staffordshire. Joan Rankin was born circa February 1886 in Rochford, Essex. She was the daughter of Hugh Rankin and Emma Nora Jackson. Joan was recorded in the census of 5 April 1891 living in South Street, Rochford, Essex. She was enumerated as Joan Rankin, daughter of Hugh Rankin, single, age 5, born in Rochford, Essex. Joan was recorded in the census of 31 March 1901 living in St Stephen's College, Clewer Without, Windsor, Berkshire. She was enumerated as Joan Rankin, single, age 15, student, born in Rochford, Essex. As of circa May 1909 her married name was Halsey. She married Edward Joseph Halsey, son of William Halsey, circa May 1909 in Rochford. Joan Rankin died circa February 1967 in Tonbridge, Kent. John English Rankin was born on 3 March 1836 in Great Stambridge, Essex. He was the son of William Hugh Rankin and Jane Nasmith Mottram. John English Rankin was christened on 3 March 1837 in Independent, Rochford, Essex. John was recorded in the census of 7 April 1861 living in Broom Hills, Great Stambridge, Essex. He was enumerated as John E Rankin, son of William H Rankin, unmarried, age 25, gentleman, born in Great Stambridge, Essex. John was recorded in the census of 2 April 1871 living in Broom Hills, Great Stambridge. He was enumerated as John E Rankin, son of Jane N Rankin, unmarried, age 35, annuitant, born in Gt. Stambridge, Essex. He died on 18 November 1874 in Broomhills Lodge, Dulwich Road, East Brixton, Surrey, at age 38. John died of congestion of lungs, chronic bronchitis and asthma. Lilian Rankin was born circa February 1874 in Great Stambridge, Essex. She was the daughter of Alfred Mottram Rankin and Ellen Shalders. Lilian was recorded in the census of 3 April 1881 living in Broom Hills, Great Stambridge, Essex. She was enumerated as Lilian Rankin, daughter of Alfred M Rankin, age 7, born in Great Stambridge. Lilian was recorded in the census of 5 April 1891 living in Broom Hills, Great Stambridge. She was enumerated as Lilian Rankin, daughter of Alfred M Rankin, single, age 17, born in Great Stambridge, Essex. Lilian was recorded in the census of 31 March 1901 living in 25 Hope Park, Bromley, Kent. She was enumerated as Lilian Rankin, daughter of Ellen Rankin, single, age 27, living on own means, born in Rochford, Essex. Lionel George Rankin also went by the name of Leo. He was born circa February 1880 in Rochford, Essex. He was the son of Hugh Rankin and Emma Nora Jackson. Lionel was recorded in the census of 3 April 1881 living in South Street, Rochford, Essex. He was enumerated as Lionel G Rankin, son of Hugh Rankin, age 1, born in Rochford, Essex. Lionel was recorded in the census of 5 April 1891 living in South Street, Rochford. He was enumerated as Lionel G Rankin, son of Hugh Rankin, single, age 11, scholar, born in Rochford, Essex. Lionel was recorded in the census of 31 March 1901 living in The Mill House, Stambridge, Essex. He was enumerated as Lionel G Rankin, head of household, single, age 21, miller (flour), employer, born in Rochford, Essex. Lionel died of consumption. He died circa August 1909 in Essex. Louisa Rankin was born on 7 October 1838 in Great Stambridge, Essex. She was the daughter of William Hugh Rankin and Jane Nasmith Mottram. Louisa was recorded in the census of 6 June 1841 living in Broom Hills, Great Stambridge, Essex. 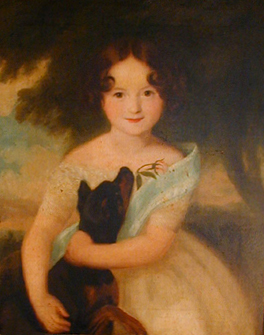 She was enumerated as Louisa Rankin, age 2, born in Essex. Louisa was recorded in the census of 30 March 1851 living in Broom Hills, Great Stambridge. She was enumerated as Louisa Rankin, daughter of William Hugh Rankin, age 12, scholar at home, born in Great Stambridge, Essex. She witnessed the marriage of Alfred Mottram Rankin and Ellen Shalders on 15 July 1857 in St Margarets Parish Church, Ipswich, Suffolk. Louisa was recorded in the census of 7 April 1861 living in Broom Hills, Great Stambridge. She was enumerated as Louisa Rankin, daughter of William H Rankin, unmarried, age 22, born in Great Stambridge, Essex. As of 25 February 1868 her married name was King. She married Thomas King, son of Thomas King, on 25 February 1868 in Parish Church, Great Stambridge, Essex. Louisa was recorded in the census of 2 April 1871 living in South Street, Rochford, Essex. She was enumerated as Louisa King, wife of Thomas King, married, age 32, born in Great Stambridge, Essex. She died on 11 October 1876 in 33 Dulwich Road, Herne Hill, London, at age 38. Louisa died of phthisis pulmonalis. Lucy Marguerite Rankin was born circa April 1875 in Great Stambridge, Essex. She was the daughter of Alfred Mottram Rankin and Ellen Shalders. Lucy was recorded in the census of 3 April 1881 living in Broom Hills, Great Stambridge, Essex. She was enumerated as Lucy M Rankin, daughter of Alfred M Rankin, age 6, born in Great Stambridge. Lucy was recorded in the census of 5 April 1891 living in Broom Hills, Great Stambridge. She was enumerated as Lucy M Rankin, daughter of Alfred M Rankin, single, age 16, born in Great Stambridge, Essex. Lucy was recorded in the census of 31 March 1901 living in 25 Hope Park, Bromley, Kent. She was enumerated as Lucy M Rankin, daughter of Ellen Rankin, single, age 26, school teaching, worker, born in Stainbridge, Essex. Marion Alice Rankin was born before 14 October 1864 in Braintree, Essex. She was the daughter of William Rankin and Elizabeth Augusta Burder. Marion was recorded in the census of 2 April 1871 living in Soho Street, Handsworth, Staffordshire. She was enumerated as Marion Rankin, daughter of William Rankin, age 10, scholar, born in Braintree, Essex. Marion was recorded in the census of 3 April 1881 living in Birchwood, Soho Road, Handsworth, Staffordshire. She was enumerated as Marion A Rankin, daughter of William Rankin, unmarried, age 16, scholar, born in Braintree, Essex. She lived in Belgrave Road, Birmingham, Warwickshire, on 13 October 1890. As of 13 October 1890 her married name was Browne. She married Benjamin Sidney Browne, son of Benjamin Stocks Browne, on 13 October 1890 in St Luke's Church, Birmingham, Warwickshire. Mary Rankin was a gentlewoman. She was born on 16 October 1797 in Bocking, Essex. She was the daughter of William Rankin and Elizabeth Crabb. Mary Rankin was christened on 18 July 1799 in Lyons Farm, Bocking, Essex. Mary was recorded in the census of 30 March 1851 living in 5 Sussex Place, Islington, Middlesex. She was enumerated as Mary Rankin, head of household, unmarried, age 53, annuitant, born in Braintree, Essex. Mary was recorded in the census of 7 April 1861 living in 3 Sussex Place, Islington, Middlesex. She was enumerated as Mary Rankin, sister of Rebecca Stock, unmarried, age 63, fundholder, born in Bocking, Essex. Mary was recorded in the census of 2 April 1871 living in 32 Theberton Street, Islington, Middlesex. She was enumerated as Mary Rankin, lodger in household of Alexander Hardy, single, age 73, born in Lyons, Bocking, Essex. She died on 28 August 1879 in 7 Hanover Road, Tunbridge Wells, Kent, at age 81. Mary died of jaundice and exhaustion. Mary Rankin was born on 1 June 1867 in 12 Philip Terrace, Philip Lane, Tottenham, Middlesex. She was the daughter of Alfred Rankin and Emily English Cook. Mary was recorded in the census of 2 April 1871 living in 12 Philip Terrace, Philip Lane, Tottenham. She was enumerated as Mary Rankin, daughter of Alfred Rankin, unmarried, age 3, scholar, born in Tottenham, Middlesex. She was christened on 21 December 1873 in High Cross Congregational Chapel, Tottenham, Middlesex. Mary was recorded in the census of 3 April 1881 living in 2 Lordship Terrace, Wood Green, Middlesex. She was enumerated as Mary Rankin, daughter of Alfred Rankin, unmarried, age 13, born in Tottenham, Middlesex. She was the official informant of the death of Alfred Rankin on 13 March 1888 in 50 Ladywell Park, Lewisham, Kent. Mary Rankin lived in 50 Ladywell Park, Lewisham, London, on 27 June 1889. As of 27 June 1889 her married name was Morgan. She married Ernest Richard Morgan, son of William Morgan, on 27 June 1889 in St Mark's Church, Lewisham, London. Mary was recorded in the census of 5 April 1891 living in Clovelly, Ruthin Street, Lewisham, London. She was enumerated as Mary Morgan, wife of Ernest R Morgan, married, age 23, born in Tottenham, Middlesex. Mary was recorded in the census of 31 March 1901 living in 22 Vicars Hill, Lewisham, London. She was enumerated as Mary Morgan, wife of Ernest R Morgan, married, age 33, born in Tottenham, Middlesex. Mary Rankin was christened in 1837 in Independent, Rochford, Essex. She was born before 3 April 1838 in Great Stambridge, Essex. She was the daughter of William Hugh Rankin and Jane Nasmith Mottram. Mary was recorded in the census of 6 June 1841 living in Broom Hills, Great Stambridge, Essex. She was enumerated as Mary Rankin, age 4, born in Essex. Mary was recorded in the census of 7 April 1861 living in Broom Hills, Great Stambridge. She was enumerated as Mary Rankin, daughter of William H Rankin, unmarried, age 23, born in Great Stambridge, Essex. 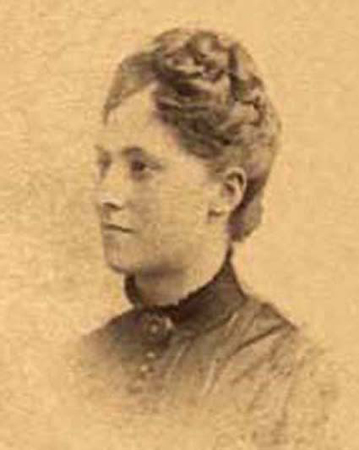 She witnessed the marriage of Thomas King and Louisa Rankin on 25 February 1868 in Parish Church, Great Stambridge, Essex. Mary was recorded in the census of 2 April 1871 living in Leighs Lodge, Felsted, Essex. She was enumerated as Mary Rankin, visitor to Jane M Rolfe, unmarried, age 33, gentlewoman, born in Rochford, Essex. Mary was recorded in the census of 3 April 1881 living in 33 Dulwich Road, Herne Hill, London. She was enumerated as Mary Rankin, head of household, unmarried, age 43, annuitant, born in Great Stambridge, Essex. Mary was recorded in the census of 5 April 1891 living in 33 Dulwich Road, Herne Hill. She was enumerated as Mary Rankin, head of household, single, age 53, living on own means, born in Rochford, Essex. Mary was recorded in the census of 31 March 1901 living in 6 Gleneldon Road, Streatham, London. She was enumerated as Mary Rankin, head of household, single, age 63, living on own means, born in Great Stambridge, Essex. Mary Frances Rankin was born on 8 June 1840 in Halstead, Essex. She was the daughter of Alfred Rankin and Mary Ann Cook. Mary was recorded in the census of 6 June 1841 living in Halstead. She was enumerated as Mary Rankin, age 1, born in Essex. She died on 4 April 1850 in 6 Canonbury Place, Islington, Middlesex, at age 9. Mary died of erysipelas 5 days, diarrhea 2 days and exhaustion. Muriel Lindley Rankin was born circa August 1878 in Great Stambridge, Essex. She was the daughter of Alfred Mottram Rankin and Ellen Shalders. Muriel was recorded in the census of 3 April 1881 living in Broom Hills, Great Stambridge, Essex. She was enumerated as Muriel L Rankin, daughter of Alfred M Rankin, age 2, born in Great Stambridge. Muriel was recorded in the census of 5 April 1891 living in Broom Hills, Great Stambridge. She was enumerated as Muriel L Rankin, daughter of Alfred M Rankin, single, age 12, scholar, born in Great Stambridge, Essex.